"... the sisters of the Church should know and learn from the history of the Relief Society. Understanding the history of Relief Society strengthens the foundational identity and worth of faithful women." I realized that in my lesson about healing I should talk about the history of women giving blessings in the LDS church. I have to admit that I was nervous about talking about this part of Relief Society history. It is a topic that most women have never heard of and if they have they either feel nervous or angry about it because they don't understand it. I was worried someone would misunderstand me and think I was teaching false doctrine. Yet as I pondered and prepared my lesson the spirit kept nudging me that the women in my ward really needed to understand this part of their heritage. So I fasted and prayed that the Lord would be able to convey my lesson so that women would feel the spirit and understand the principles behind it. I shouldn't have been nervous... the spirit did a great job of teaching and the meeting was amazing. I started my lesson by splitting the chalkboard in half and writing "Priesthood Administration to the Sick" on one side and "The Gift of Healing" on the other half. I then told the women that my lesson would be on these two types of healing and we would talk about how they were different and how they were the same. I wanted to make it clear that these are two different types of administrations. I started by focusing on Priesthood Administration and I invited a member of Elder's Quorum presidency to come in and talk to us about priesthood blessings-- how they are given, rules and procedures they follow, how it feels to give one, how they prepare for them, and some of his personal experiences giving blessings. He did a wonderful job and really taught us many things that we didn't know about how priesthood blessings are given. He just reinforced my gratitude for the amazing power of the priesthood in my life. "Therefore, as I said unto my apostles I say unto you again, that every soul who beleiveth on your words, and is baptized by water for the remission of sins, shall receive the Holy Ghost. And these signs shall follow them that believe. In my name they shall do many wonderful works; In my name they shall cast out devils; In my name they shall heal the sick...."
The gift to heal is a gift given to ALL followers of Christ and it doesn't matter whether they are male or female. It is a gift of the spirit available to everyone. The gift to heal is a gift given to all the followers of Christ, male and female. Women in the early days of the church often participated in healing as demonstrations of faith. Women most commonly administered by laying on of hands to their children but were sometimes called to administer to those outside of their families. One of the most common uses of women's blessings were to wash, anoint, and bless a woman's body before childbirth. Women who gave blessings never claimed priesthood power but always closed their blessings in the name of Jesus Christ. It is also important to note that these blessings were not related to temple ordinances and women were cautioned not to use language learned in the temple. President Smith was referring to section 42 of the Doctrine and Covenants, which is where the Lord outlined the “law of the church”. In D&C 42:43 the Lord instructed Joseph Smith in the preferred way to administer to the sick, He said, “And the elders of the church, two or more, shall be called, and shall pray for and lay their hands upon them in my name…” Today this pattern is still followed and calling in the elders to give a blessings by the laying on of hands is still the Lord’s preferred way of blessings the sick. While it is not encouraged today for LDS women to lay their hands on each other’s heads or give blessings that mimic priesthood administrations we can still utilize the gift of to heal on each other’s behalf. This gift of the spirit has never been taken away from women, the only thing that has changed is the method of administration. In all three places where the gifts of the spirit are listed it is mentioned how the administration (the outward physical application) of these gifts can change over time but how they gift remains the same. Moroni 10:8 says, "And there are different ways that these gifts are administered; but it is the same God who worketh all in all..."
1 Corinthians 12:5 says, "...there are differences of administrations, but the same Lord." D&C 46:15 says, "And again, to some it is given by the Holy Ghost to know the differences of administration, as it will be pleasing unto the same Lord, according as the Lord will, suiting his mercies according to the conditions of the children of men." As I discussed the gift of healing with the women in my ward we realized that women in the church are still administering to each other and to our families every day. Women administer this gift when they use their faith, prayers and fasting on someone's behalf, when they give loving words, hugs, kisses, provide meals for a family, care for children, share their wisdom and knowledge, give healing touch, meet material needs, listen to the spirit to understand unique needs, write words of blessing and encouragement, and physically be with people through their trials. These gifts of the spirit, these methods of administration, are not any less powerful or meaningful than the washings and anointings that the women in the early church performed. It was beautiful to hear the women in my ward testify of ways in which they had ministered healing to people or ways in which they had been ministered to by other women. The gift is the same, it is only the method of administration that is different. How do women in your life administer the gift of healing? How have you been the recipient of that gift? Great lesson! I wish I could have been there. Now if I ever have the chance to teach one on this topic, I will definitely have to borrow your "lesson plan." So glad to hear it went so well! Thank you so much for this insightful post! It covers some material that could easily be misinterpreted but does so in a very testimony-building way. I love what you said about the two different methods of administration. Joseph Smith said "faith is power" and I think that's what we can really take from this. I do think that we as women of the church can learn so much from this in order to feel loved and empowered by the Lord. In studying our history this topic, of blessings done by sisters, is bound to be brought more to the forefront of our teachings, and I say, "Hallelujah!" I can't help but believe that learning of their faith is what we need to combat the evils of things like "The Bachelor" or "The Kardashians". These fantasy lifestyles which give us an unrealistic view of reality will pale in comparison to those women who actually did "rock"! I love how you used the scriptures to teach the concept that the WAY these administrations may have changed, but the source is still the same. Thank you for being a voice of reason. You rock too! I hope I get to teach this someday too. I love how you handled a difficult subject! Thank you so much for your inspirational words. I feel like our church is so misunderstood and the priesthood is seen as something that puts women down, but that is not true. My mother in law was very ill one day, and as a military wife raising 4 children alone, she had no choice but to give her son (my husband) a blessing when he was sick. He was healed through her blessing. Thank you for always celebrating womanhood. I love that you gave this lesson more than I can say. The only thing that troubles me is that you had to (and I agree that you had to) tread so lightly and carefully to present historical FACTS. My one question is this, why do you assume that the women's blessing were "mimic(king) priesthood administrations"? I wonder couldn't the "other" kind of blessings use the same method? I liked this post - I have personally received direct guidance on how to break a fever when my child was very ill, and my husband was traveling. I am going to email you. I just wanted to clarify one thing. I would never have chosen this topic for our RS if the spirit hadn't prompted me to do it. I don't think that every RS would be ready or responsive to something like this. Our RS was and it was beautiful but I think that we need to really pray to know what the LORD wants us to teach rather than what WE want to teach. Oh, and one of the Ladies in my ward mentioned that she'd been at a meeting with Sherie Dew, the CEO of Deseret Book, and this topic of women giving blessings actually came up. Sherie Dew said that the church is currently working on publishing the RS minutes and having a book written on them to put them in historical and spiritual context. I am really excited about this! Emily Haynes, Thanks for sharing that story. IT amazed me to hear some of the stories that women shared in my ward. Women use this power all the time we just don't talk about it, mostly because it is so sacred and spiritual. IT is neat to be in places where women feel safe enough to share those type of spiritual experiences. I agree with you that it is sort of sad that we have to be "careful" with historical facts. The truth is though that this history has been manipulated and taken out of context by some people in the church to construe that women had the priesthood in the past and that they should have it now. It has been a source of real contention. It is too bad that it has been used that way and misconstrued so that it has now become a "hard" topic to talk about. I hope that in the future ( and with the publication of the RS minuets) that more of these misconceptions can be cleared up. There are too many LDS men and women who are confused about these things. I'm just trying to help shed a little light. I think the truth of this history is so much more powerful and enlightening to women than the myths that some people want to agitate up. This is SUCH a touchy subject in our church, isn't it? I'm glad to read what you have shared. It's a blessing to me, for sure. Father has me on a path to learn to use my Gift of Healing in the ways He has appointed to me. Emotional healing seems specifically to be the focus He has for me. I read THE EMOTION CODE and felt really overwhelmed by the Spirit: conveying to me that this would be a useful tool for me in the works Father would have me do in the future. It's amazing stuff. I had one experience that is still beyond amazing to me thus far (because I have not had such a profound repetition since, but have heard, via the Spirit, that I will when I'm ready). A friend poured out her heart to me. And then we prayed together. I was voice. I did not lay my hands on her head, wash or annoint her, I simply held her hands and sorta hugged her as I prayed. The Spirit was thickly around us as I prayed and I felt it as a tremendously heavy blanket - but SUPER comfy in it's heaviness. I cannot remember what I said except for some parts that were directly addressing my friend and directing her to forgive herself because she's been long forgiven by our Father. When I ended the prayer because the words were done, I felt the Spirit step away to give her room (it seemed like) and I opened my eyes to a new day. It was the same day, of course, but it was more full of detail and even more beautiful than it had been! And my friend... she felt like she was floating, she said. She felt like a weight had been removed from her and like the whole world was new. WHAT A GIFT to be part of such an experience!!! Also, I wanted to add that I have been led to understand (and I'm sorry I do not have the verses for you), but in the Bible it tells us what we, as wives, have authority to command our husband's and our children's bodies. Specifically, that our husband's body IS ours and must align with our commands. Amazing stuff. And I have used this understanding in Faith to offer comfort and healing to my hubby, which has helped him in actuality! What a GIFT!!! I have not washed or annointed - ever - and truly feel that would not be necessary. Especially after the experience with the simple touch connection during prayer with my friend. I could definitely see how THOSE particular aspects of a "healing prayer" would make the whole thing confusing! Anyway... sorry for the book as a comment (my first, I think). I'm just super excited that you posted about this subject!!! ^_^ What a blessing to me. :) THANK YOU!!!! Very cool stuff. I think the reason we don't minister to each other as we once did is that we've allowed our role as woman to be diluted. Many of the things these early RS did for each other out of love we now have to pay people to do for us. For example doulas-once upon a time a woman could count on the women around her to care for her before during and after childbirth, but now that we've diluted our role in order to have that sort of service you have to pay for it. Tori, what a beautiful experience you've had. It amazes me the power that is avaliable to use through our faith. I think we underestimate our power and the power of God. It is truly immense. Kimberly, I agree with you. I think that we have lost a lot of the beautiful experiences that women use to have because we have "outsourced" so much of what women use to do. I think that there is great value in women re-discovering these things and brining the Home back to its rightful place. Great post. I would like to add that I read some more about this topic in Joseph Fielding Smith's, "Answers to Gospel Questions" - a book on sale at Deseret Book or Seagull Book. Someone posed the question to him about women giving blessings and he gave an impressive response. Look into it if you have time! I read this post when you originally wrote it back in Feb, but I couldn't remember which of my women blogger friends had posted it and I spent a lot of time this morning looking for it - and then finally I did, and it touched me just as deeply then as it did just now! I just finished writing a post about the priesthood for my blog, and I wanted to reference this post. I think that you do such a good job of explaining what was going on - there should be no confusion. Thanks again for all your wonderful posts! Wonderful lesson, thank you for sharing! This is awesome! Thanks for sharing! I'm trying to tailor Pres. Uchtdorf's talk Four Titles to my RS women this Sunday and this helps me a lot under the Healer of Souls topic. My Great Grandmother was known in Southern Utah for healing the sick and laying on hands when she felt the Spirit direct her to do so. It was given in her Patriarchal Blessing this gift of Laying on Hands to bless the sick. She was a Mid-wife and spent many nights at the sick beds of other's homes tending to them and their families while raising a large family herself. She was born in 1880 and often the men were away ranching, farming or on Missions. I remember my Great Grandmother well as a gospel scholar and loving giving lady always ready to serve. I was fascinated by her faith and the stories of healing in such dire circumstances. She and her beloved husband served two missions in the Manti temple and worked with the Indians during the summer. We are Woman of Faith today and called to serve one another as the Lord Jesus Christ served and loved us. We are lucky to have the Priesthood so available to us today. The Gifts of the Spirit bless our lives today as they did in the days of Adam. They are to be understood and reverenced being used wisely and as the Spirit directs. I am grateful you shared this article. 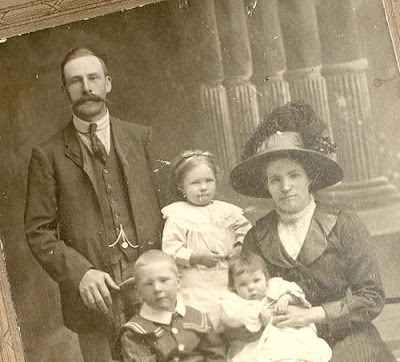 I have told my son these stories about my Great Grandmother to share with his 11 children. Thanks for using the Scriptures and references, what a great lesson. We are to bless and serve one anther and I see it everyday both at home in my ward and here on my Mission in Sicily, Italy. Thanks for sharing this beautiful sensitive topic that should be shared and cherished. This is so interesting! The bulk of the information here is new to me, and it's exciting to have it. Thank you for sharing what you have learned! Oh how i love this.Thank you so much for sharing with us what the spirit has taught you. I found this post today as I was thinking on the healing power and if women could have it the same as men. What an answer to prayer. Thank you for the time you took to write this up. Years ago I gave healing blessings to my children when my husband, who was elders chorum president refused to give them blessings for some unknown reason. He rarely communicated with me and I do not know why, except it might be because he was not a man of confidence. I played hands on their heads and blessed them in the name of the Savior. I did not use oil or claim the Priesthood. It would have been too awkward to ask other Priesthood members to come give blessings with my husband right there in the house. I am most grateful those blessings were honored. I also was also instrumental in casting out devils in the name of the Savior numerous times throughout my life because of unusual and private circumstances. Consider the following scripture: Luke 9:49 And John answered and said, Master, we saw one casting out devils in thy name; and we forbad him, because he followeth not with us. I figured if a non member could cast out devils that Heavenly Father would honor my doing so and believe me, he did honor that. I also had a dear friend, not a member of the Church, who laid hands on her son and put oil all over his face and he was healed instantly of a serious problem on his face. (It was not present at the time) While I much prefer having a Priesthood holder give blessings and how grateful for my father, who so willingly gave us blessings when needed, Christian history is replete with any true follower of Christ being able to give healing blessings.I hope this helps others. God is good and has not left us helpless when holders of the Priesthood are not available or when we are inspired to help another person. My soul was bless from this lesson, I will be definitely teaching this lesson in my ward.God bless you for listening to the Spirit.